With its colourful fishing villages, an archipelago of 10,000 islands and the Kosterhavet national marine park; the Bohuslän coastline, north of Gothenburg, must be seen to be believed. This 7-night itinerary is a wonderful introduction to this spectacular region and combines both the cityscape of Gothenburg with the natural beauty and tranquillity of the West Coast. On arrival at Gothenburg Landvetter airport, you will be transferred to the Hotel Vanilla in Gothenburg. In Gothenburg, you are never far from gourmet flavours, fascinating museums and vibrant, cultural events and exhibitions. This is a city in transition; building on its ship-building roots and pushing forward the boundaries of gastronomy, fashion, technology and design. There are historical sites and modern art galleries standing side-by-side. There are traditional cafes serving home-made cakes, marmalades, warming soups and sandwiches standing adjacent to independent micro breweries and pop-up restaurants. In fact, there is so much to discover that a short break in Sweden's second city will leave you wanting more. Some of our favourite spots in Gothenburg include the bustling Feskekorka (fish market) and the Saluhall (food market). Both locations are a great place to take lunch, offering the opportunity to sample local, seasonal produce as well as savoury and sweet delights. We also love hiring the city bikes and cycling around the historic Haga district, Slottsskogan Park and along the river to Klippan, a former Swedish East India trading post. Unspoiled nature and quiet spots are never far away, no matter where you are in Gothenburg. After breakfast, collect your car from Gothenburg downtown office and drive along the coastline to Villa Sjötorp in Ljungskile, a member of the ‘Taste of West Sweden’ culinary programme. En route, Sunvil would recommend that you bypass the E6 motorway and instead follow the coastal roads across the islands of Tjorn and Orust. The archipelago of West Sweden, in our opinion, is what sets this region apart. The smooth granite islands scattered with idyllic wooden cottages are quintessentially Swedish. It is easy to while-away the hours here, watching the waves ebb and flow and the fishing boats come and go. On the island of Tjorn, you will find the Pilane Sculpture Park and the Nordic Watercolour Museum - both interesting attractions and worthy of a visit. The cafe at the watercolour museum is part of the ‘Taste of West Sweden’ culinary programme and offers high quality, local dishes. Overnight at the Villa Sjotorp, Gothenburg and The West Coast. After breakfast, drive to Fjällbacka and take a boat trip to the archipelago of the Weather Islands or head to Stromstad, from where ferries depart to the Koster Islands National Marine Park. 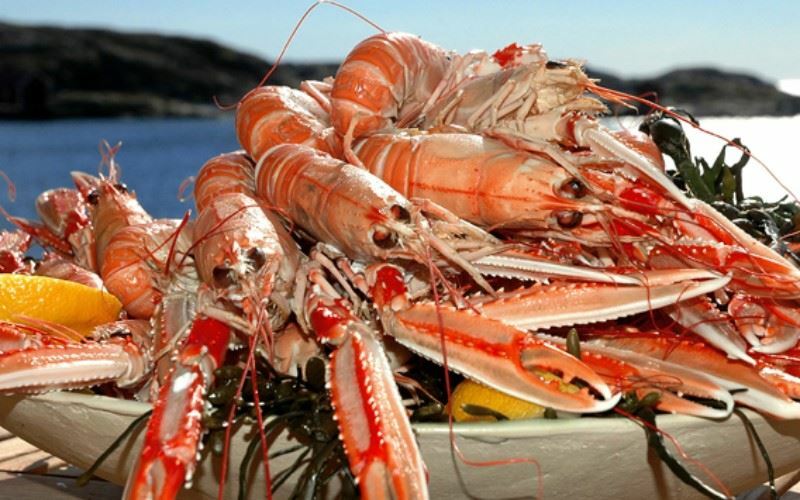 Alternatively, why not participate in one of the many seafood activities available along the West Coast. Mussel safaris, Oyster courses and Lobster safaris (dates dependent) can be arranged locally. The Bohuslän coast is brimming with quaint fishing villages. Today, why not take a ferry from Halleviksstrand (on the island of Orust) to the island of Käringön in the archipelago? Käringön is home to the much-renowned restaurant (seasonal opening hours). Alternatively, visit the old fishing village of Smögen and its Sea Lodge restaurant, a member of the ‘Taste of West Sweden’ culinary programme. This evening, take dinner at Villa Sjotorp (payable locally). Start your evening with an aperitif in the garden watching the sunset over the island of Orust before moving into the homely restaurant. The restaurant at Villa Sjotorp has an excellent reputation for high quality, locally-sourced food. The Sunvil team have had many evening meals here, and our waistbands can attest to delicious cuisine served. After breakfast, head inland to the region of Dalsland or Västergötland visiting the rock carvings at Tanum, a UNESCO World Heritage Site, en route. After breakfast, drive to Gothenburg Landvetter airport for the return flight to the UK. En route stop at Gunnebo House and café, a member of the ‘Taste of West Sweden’ culinary programme and a wonderful spot for lunch. A charming 20th century summer residence where the owner, Ellika and her team, offer guests warm hospitality in a beautiful setting. A charming 20th century summer residence where the owner, Ellika Mogenfelt and her team offer guests warm hospitality in a beautiful setting. Located near Ljungskile, 45-minutes drive from from Gothenburg, the Villa Sjötorp is a hidden treasure that enjoys uninterrupted views across the waters of the Ljungskile bay from its landscaped gardens and terrace. The property has been fully renovated in a traditional style by its current owner and having done so has created a home from home for her guests. Over the years Villa Sjötorp has earned a well deserved reputation, and has won a number of awards, for its excellent restaurant. Head chef Jacob Dillner strives to offer guests a taste of Sweden, offering seasonal menus and using 70% organic and locally sourced food. A gastronomic delight! From 26 November Villa Sjotorp offers an 9-course festive menu. We have included a winter stay in Ljungskile in our 3-night Christmas escape to Gothenburg and the West Coast; please click here to view our itinerary. Due to the age of the building, rooms vary in size. An excellent Mussel Safari departs from Ljungskile. Seafood experiences available locally.